Today was the first day off i’ve had since becoming a vegan. It was the perfect opportunity to put more time into cooking and experimenting with different recipes. I started the day off with a workout. Tomorrow I have MMA training and wont have time to lift, so I decided to get a full upper body lift in today. This consisted of: Chin-ups, push-ups, bent over rows, incline dumbel flyes, cable torso rotations, bicep curls, russian twists and hanging windshield wipers. I aimed for a solid 50 minutes working out at a fairly high intensity knowing I would probably be eating a lot more food today. Boy was I right. My post workout shake was just water, Sunwarrior powder, and creatine monohydrate. After that I ate a Vegan Parfait that I accidentally made last night (see previous post) which was close to 1000 calories of delicious and nutritious goodness. Binge watching F.r.i.e.n.d.s was next on the agenda, so after a lot of episodes of that and a few Parks And Rec episodes to balance it out I decided to make more food. This time cooking up a big pot of red quinoa while baking some sweet potato slices. 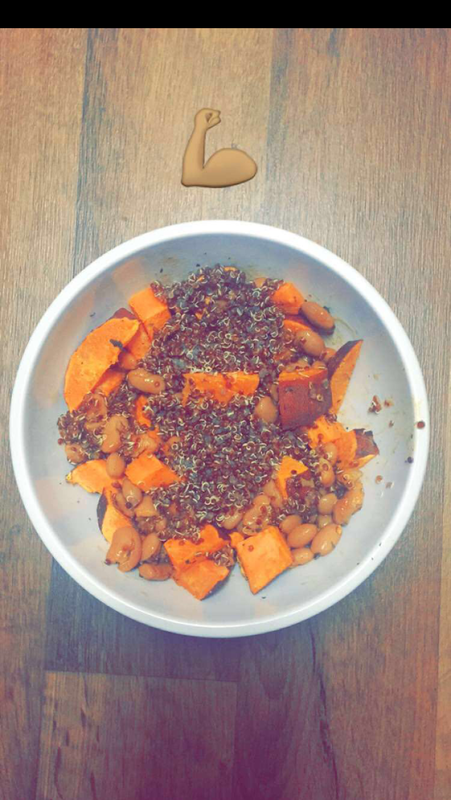 I seasoned the slices to make them like fries, and after they were baked and the quinoa was cooked I threw them together in a bowl with some organic spicy pinto beans. (If you want to watch the video, follow me on instagram: @mitchelluther). 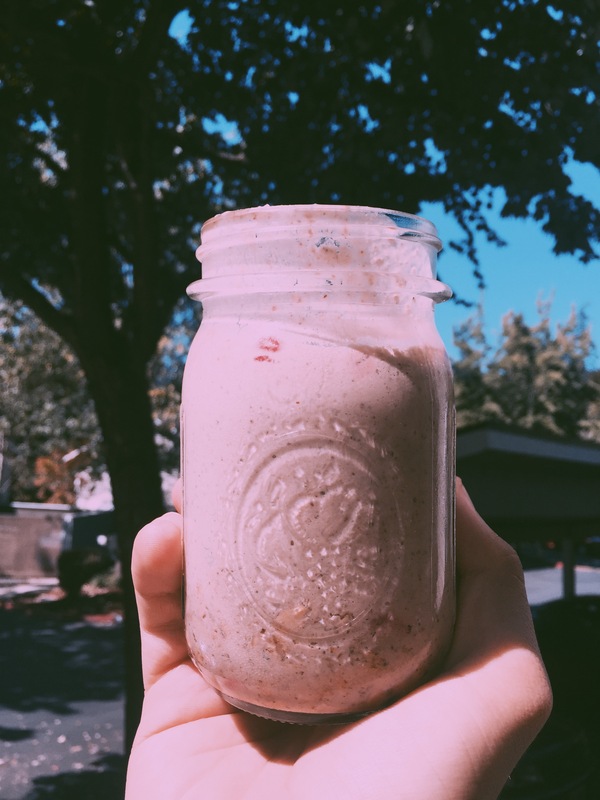 I made a couple more green smoothies and protein shakes throughout the day to keep my macros in check, but i’m all out of peanut butter and cashew milk so they were pretty bland. For dinner i took some leftover quinoa and another can of beans and mixed it with some kale in a bowl. This was my favorite high protein, super quick, nutritious meal. Keep in mind, I was eating very large portions of all this, and if I had peanut butter to add, I would be almost at bulking calories. Tomorrow will be a week since I started this, and I will be posting in the lifestyle category of this page. If you want to see what I’ll be getting up to first hand, follow me on snapchat and instagram. Super happy with my results so far, and how i’m feeling over all. I can definitely see this being a lifestyle I could sustain indefinitely. You are off and running, my friend. Bravo!